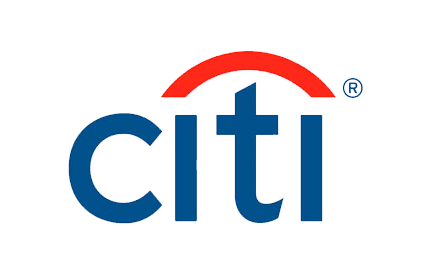 Citigroup Inc. (NYSE: C) slightly fell over 0.5% on 15th October, 2018 (as of 12:07 PM GMT-4; Source: Google finance). During the third quarter of 2018 results, the bank pointed growth in many areas, including the accrual businesses and ICG, fixed income, and Mexico Consumer and despite a drag from net one-time gains that affected the top line comparisons. The company reported net income for the third quarter 2018 of $4.6 billion, or $1.73 per diluted share, on revenues of $18.4 billion. This compared to net income of $4.1 billion, or $1.42 per diluted share, on revenues of $18.4 billion for the third quarter 2017. Net income of $4.6 billion increased 12%, primarily reflecting a lower effective tax rate as well as lower expenses and cost of credit, as the revenues remained largely unchanged. Earnings per share of $1.73 increased 22% from $1.42 per diluted share in the prior-year period, driven by the growth in net income and an 8% reduction in average diluted shares outstanding. The revenues of $18.4 billion were largely unchanged. Excluding the previously mentioned gains on sale as well as the impact of foreign exchange translation, revenues increased 4%, driven by growth in ICG. The operating expenses of $10.3 billion in the third quarter 2018 decreased 1%, as higher volume-related expenses and investments were more than offset by efficiency savings and the wind-down of legacy assets. The cost of credit was $2.0 billion, a 1% decrease from the previous year quarter. The net income increased to $4.6 billion primarily driven by the lower effective tax rate as well as the lower expenses and cost of credit, as the revenues remained largely unchanged. And the effective tax rate was 24% compared to 31% in the previous year same quarter. The allowance for loan losses was $12.3 billion at quarter end, or 1.84% of total loans, compared to $12.4 billion, or 1.91% of total loans, at the end of the prior-year period. Total non-accrual assets declined 19% from the last year period to $4.0 billion. Consumer non-accrual loans declined 15% to $2.4 billion and corporate non-accrual loans decreased 25% to $1.5 billion. The end-of-period loans grew 4%, as 6% aggregate growth in ICG and GCB was partially offset by the continued wind-down of legacy assets in Corporate / Other and end-of-period deposits were $1.0 trillion as of quarter end, an increase of 4% from the previous year period. GCB revenues of $8.7 billion increased 2% on a reported basis and 3% in constant dollars, driven primarily by strength in Latin America GCB. North America GCB revenues of $5.1 billion decreased 1%, as higher revenues in Citi Retail Services were more than offset by lower revenues in Citi-Branded Cards and Retail Banking. Retail Banking revenues of $1.3 billion decreased 3%. Excluding mortgage, Retail Banking revenues increased 1%. Latin America GCB revenues increased 20% to $1.7 billion, including the gain on sale. In constant dollars, revenues increased 8% excluding the gain on sale driven by continued volume growth across commercial, mortgage and card loans, as well as deposits. The GCB net income of $1.6 billion increased 34% on a reported basis and 36% in constant dollars, driven primarily by the lower cost of credit, the lower effective tax rate and the gain on sale, which more than offset the higher expenses.